The SD-2 Range is the latest product range development has been designed in conjunction with multiple World Champion Christian Schafaer. It comes in three styles to suit all sailors requirements. The SD-2D is the paneled Dacron version. The SD-2 Range is the latest product range development has been designed in conjunction with multiple World Champion Christian Schafaer. It comes in three styles to suit all sailors requirements. Made out of North Sails exclusive Xi laminate. The cross cut RX-5 Jib is an all purpose, Dacron sail. It offers a user friendly easy trim with no sacrifice in performance and compliments all the SD-2 Mainsails. 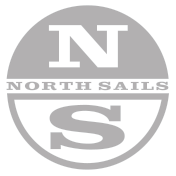 The North Sails CS-4 full radial Spinnaker has been used to win many major Tempest championships in. Its easy to trim characteristics makes it a crews must choice.